Premier League Scores: Result and Highlights from the EPL Fixture between Wigan Athletic V West Ham United On Saturday, October 27, 2012. 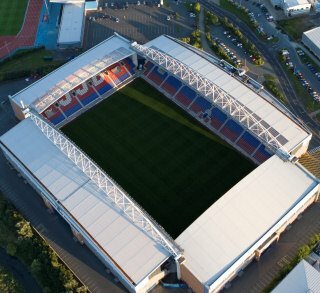 Wigan finally got their first home win of this season. I picked half the score line correctly. I initially predicted a 2 – 2 draw, but West Ham did not play up to their potential in this one. Ivan Ramis opened the scoring with a well struck volley off an 8th minute corner. West Ham’s best chance of the first half came with Yossi Benayoun who forced a save from the Latics’ Ali Al Habsi. Wigan started off the second half with a 47th minute strike from James McArthur that would prove to be the winner. While the Hammers could have moved up into fourth position with a win, they really did not do enough to win. James Tomkins header in stoppage time was only a consolation goal that was not enough. Wigan thoroughly deserved their second win of the campaign and they dominated much of the play.